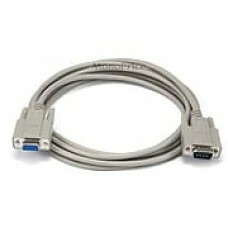 Monoprice® 10' DB-9 Male/Female molded cable is wired straight through pin-to-pin that offers ease of compatibility between your PC and printer. Monoprice® 10' DB-9 Male/Female molded cable is a reliable and economical solution for extending your pre-existing serial cables. Cable is fully shielded to prevent unwanted EMI/RFI interference.